Want to Know How You're Able Join Le-Vel for FREE and Participate in the #1 Car Plan in the Industry? Still trying to figure out how I was able to join Le-Vel for FREE (meaning NO startup cost or any fees period) like every other person apart of this opportunity? SIMPLY PUT...because our company doesn’t have overhead cost tied into corporate buildings, customer service support contracted outside the U.S., they don’t lease cars just to take them back when Promoters don’t hit their goals, our platform is cloud-based, money is put into the products, the packaging and the awards program for Promoters!! 8 MILLION Customers continued to purchase our product because it flat-out WORKS and they wanted a lifestyle change! It’s that simple—regardless of what anyone believes, we're headed to $2BILLION in online orders in less than 6-years and we’re just getting started! We have 100+ Millionaires and thousands of six-figure earners because Le-Vel is simple, social, fun, and I say it again-- FREE! To put it bluntly, with or without you we’re not going anywhere! 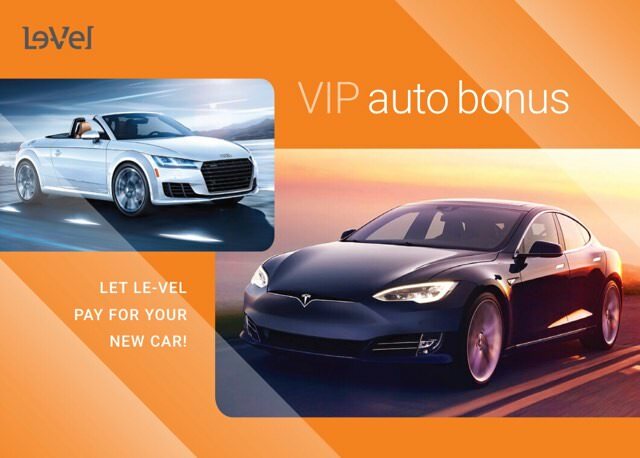 Le-Vel has shifted gears and is even more generous with the upgrade to the Auto Bonus car plan. The industry's #1 car plan $800/month on only 12,000 in team volume Thousands already qualified The #1 car plan has just been upgraded to 2.0 Introducing VIP Auto Bonus 2.0 2 new manufacturers have been added Tesla and Audi But that’s not all, introducing AUTO: Elite -- a second level of auto bonus qualification. $1,600 a month towards your dream car and bespoke travel bag. It’s time to drive on a premium level. What will you drive? plus a custom bespoke KV Travel Bag! > To qualify for Auto Elite: must be 40K VIP or greater with 8 personal Q&A Promoters; 2 of those 8 Promoters must be 12K VIP. 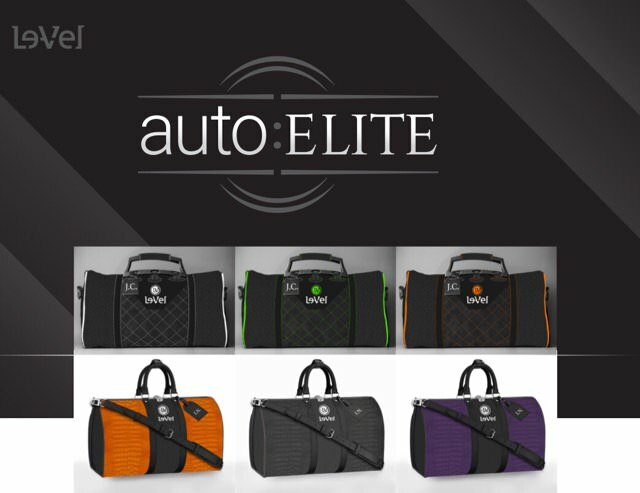 > Auto Elite qualifiers will also receive a custom bespoke LV travel bag. Must qualify for Auto Elite for 3 consecutive months to receive travel bag. Are you ready to join the movement yet? I am a Veteranpreneur with Le-Vel ~ helping others live their best life! Reach out to me on Facebook to learn more: https://www.facebook.com/ThrivinVeteran1 Let's do a quick chat!